The nationwide defense debate best represented in Physics Today had by 1982 descended into plans for surrendering to the Soviet Union based on Pascal’s Wager and Ignoring Kennan’s Long Telegram. Science advisor George Keyworth built on Sam Cohen and Edward Teller’s ideas, then stepped out of the conflict spotlight, which was taken over by William Robert Graham and Gen’l Daniel Graham. The foolishness of Robert Strange McNamara’s insane policy of mutual civilian genocide with nuclear weapons sank in after Dr. Strangelove, and Sam Cohen’s defensive strategies developed a large following–and some pro-surrender opposition. The Libertarian Defense Caucus organized by LP Presidential candidate John Hospers, Michael J Dunn, Virginia Postrel and others favored defensive weapons policies. One LDC member questioned assertions by German-American physicist Wolfgang HK Panofsky in Physics Today regarding treaties under the Constitution. Dr Panofsky’s statement that “Nothing in the U.S Constitution dilutes the responsibility of a president to comply with existing treaties in force.” [Physics Today, June, 1985, p. 37] ought to be evaluated in light of the actual text of the Constitution itself. Section 8 of Article I of the Constitution specifies, in clause 15, that “Congress shall have the power…To provide for calling forth the militia to… repel invasions;”. Article IV, section 4 charges the United States with the responsibility to protect each of the States from invasion. Finally, Article II of the Bill of Rights guarantees that our right to “keep and bear arms”, within the context of a well regulated militia, “shall not be infringed.” While it is true that Article II of the main body of the document grants the President the power to make treaties (Section 2, clause 2), and it is also true that these treaties “shall be the supreme law of the land” (Article VI, Section 2), it is nowhere stated that this treatymaking power shall override the Bill of Rights or the main body of the Constitution. In fact, Article VI, Section 2 specifies only that the treatymaking power takes precedence over “…anything in the Constitution or laws of any STATE to the contrary notwithstanding.” (Emphasis mine). In fact, the very last clause of Section 10 in Article 1 allows the States to defend themselves if “…actually invaded, or in such imminent danger as will not admit of delay.” Nothing in the Constitution supports the conclusion that the treatymaking power is arbitrary and unlimited and supersedes all individual rights guaranteed us by the text of the Constitution and the Bill of Rights. One can readily infer, however, that all arms limitation treaties which infringe on our right to have our military forces keep and bear defensive weapons of our choosing are unconstitutional and therefore illegal. This would apply specifically to the ABM treaty as well as both versions of SALT. Because I do not believe that the framers of the Constitution would have subordinated their rights or those of their countrymen and descendants to any arbitrary power, foreign or domestic; and because the legal language supporting this conclusion is clear and precise, I submit that the ABM treaty is unconstitutional and illegal. PRESS: Mr. President, some of the editorial writers seem to think that the proposed treaty would contravene the Constitution–not the Volstead Law, but the Constitution itself. Do you believe it within the power of the government to make a treaty that would contravene the Constitution itself? PRESIDENT COOLIDGE: Of course not. The only power the government has to make a treaty comes from the Constitution, and there wouldn’t be any question about it, for any treaty that might be made, that was contrary to the provisions of the Constitution, would be absolutely void. J. H. Phillips raises the interesting point whether any arms-control treaty violates the Constitution of the United States. He agrees that Article VI, paragraph 2, of the Constitution states that treaties entered into by the United States preempt the constitution or laws of any state that might have contrary provisions. Indeed, the United States Constitution makes the President the Commander in Chief and gives him responsibility to conduct foreign affairs and thereby provide for the national security. Yet one must recognize that increased armaments and increased national security are by no means synonymous; in fact post-World War II history has amply demonstrated the contrary. The power of the President to negotiate treaties, even if they conflict with private rights involving arms or ownership of property, has been confirmed by numerous Supreme Court decisions. Negotiated arms control is rightfully considered a component of the conduct of foreign affairs. According to Article VI of the Constitution, treaties are the supreme law of the land, subject only to other provisions of the Constitution. They can be modified by mutual renegotiation or abrogated unilaterally under specific provisions that provide for prior notice and invoke the supreme national interest of one of the signatories. The specific claim by Phillips is that arms-control treaties are in conflict with the provision of Article II of the Bill of Rights that “a well-regulated Militia, being necessary to the security of a free State, the right of the people to keep and bear Arms, shall not be infringed.” No court has ever held the Second Amendment to impose any limitation on the President’s power to conduct foreign affairs, but the specific relation of arms-control treaties to Article II has, to the best of my knowledge, never been explicitly litigated. In view of the foregoing it seems to me to be patently absurd to claim that the US President and Executive Branch cannot negotiate and sign a treaty that limits weapons by all signatories if the President believes this to be in the security interest of the United States, and I see nothing in the Constitution that would prevent such a treaty from entering into force once the Senate, by a two-thirds majority, has recommended its ratification to the President and the President has then executed the instruments of ratification. The Constitution has done well in weathering the transition to the nuclear age. If Phillips were correct in his interpretation it would be a sad day indeed. The letter by J.H. 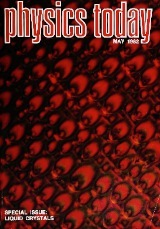 Phillips and the response by Wolfgang K. H. Panofsky (April, page 90) raise interesting issues regarding the relationship between the Federal treaty-making power and the constitutional rights guaranteed by the Bill of Rights. Although both Phillips and Panofsky deal solely with issues arising under the “right of the people to keep and bear arms” provision of the Second Amendment and with alleged infringements of this “right of the people” by arms control treaties, the issues are significantly broader in scope and deserve more careful analysis. According to Panofsky, the constitutional authority of the executive branch to conduct foreign affairs extends to the power of the President to negotiate arms control treaties, and such treaties when ratified by the Senate may abrogate any provision of the Bill of Rights. Although Phillips disagrees, both Phillips and Panofsky limit their discussion to consideration of the Second Amendment in the Bill of Rights. However, there is nothing in the underlying issue that should limit the argument to the Second Amendment; rather, the issue should be treated more broadly for a better understanding. For example, it is not difficult to imagine a treaty with the following provision: Due to the utmost importance of this arms control treaty and the practical reality that it cannot be successfully implemented without mutual trust and harmonious relationships between the signatory nations, any critical or derogatory remarks, oral or written, against a signatory shall constitute a criminal offense against that signatory, and such signatory may search for and seize any offending writings, as well as punish the person making said criticism, in such manner as it deems appropriate, including trial by judge without jury in the courts of the signatory as it deems appropriate. Of course, such a treaty would clearly abrogate the provisions of the Bill of Rights contained in Amendments I (free speech and press), IV (unreasonable search and seizure), V (due process of law), VI (right to counsel) and VII (trial by jury). But in spite of the fact that the constitutionality of treaties that conflict with the Bill of Rights has never been litigated, some obvious conclusions as to how the US Supreme Court would treat this sort of treaty can be drawn. Moreover, that the precise issue has never been litigated does not justify Panofsky’s conclusion that it is “patently absurd” to claim that the treaty-making power cannot supersede the Bill of Rights. It is true that a treaty can override a state constitution or a state statute, but a Federal statute passed at a later date than a treaty prevails over the treaty, according to a line of US Supreme Court cases beginning with Head Money Cases, 112 US 580, 598-590 (1884). It is also well established that even Federal statutes violative of the Bill of Rights can be declared null and void by the judiciary. Thus, since Federal statutes can abrogate treaties, statutes have at least as high a dignity as treaties, and since statutes violative of the Bill of Rights can be invalidated by our courts, so can treaties. Panofsky of course denied having come to that conclusion, but the legalistic house of cards which Soviet weapons specialists had hoped would bluff These United States into submission came tumbling down. Soviet planners realized not even a single American State could be disarmed while the Second Amendment remained intact. The Strategic Defense Initiative grew, a German lad landed a Cessna near Red Square, and Soviet Socialist totalitarianism collapsed as entirely as German National Socialism had collapsed in May of 1945. Prospects for resurrecting Soviet Communism are as hopeless as for bringing back the German National Socialism that prompted development of modern weapons in the first place. 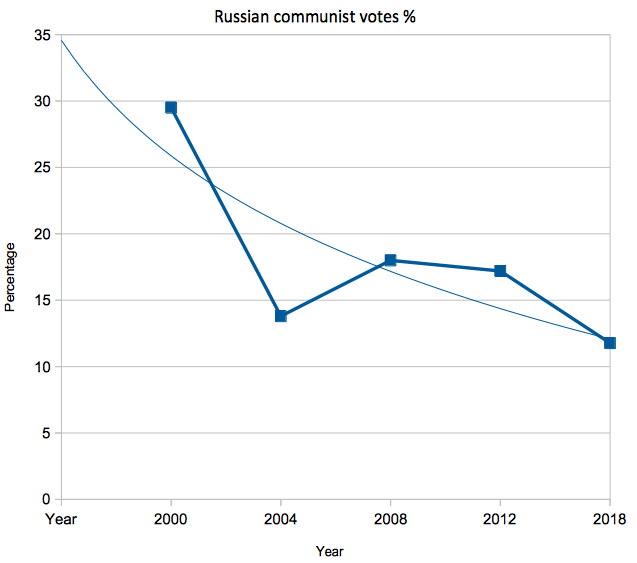 Russian voters are shrinking the communist party even faster than American voters are chipping away at the Dem & GOP kleptocracy. But the shrieking against the Second Amendment is today much shriller than in the 1980s, when gun violence was high but already eroding thanks to decreased initiation of force. Whether that–coupled with the feverish falsification of science by a tiny group of scientist-impersonators and former scientists in concerted efforts to lay an Energy-Conversion Tax on everyone except Not-Exactly-Communist China–is some sort of desperate comeback attempt by intellectuals of the looter persuasion, is unclear. After all, Republicans have published platforms for 46 years to Amend the Constitution to overturn the results of the 1972 Libertarian birth control plank–a fixation no less fanatical and hopeless. There is, however, no question that infiltration of the Democratic Party Platform Committee by Socialists Against Buckminster Fuller Energy Slaves (and power plants in general) cost Democrats the Executive branch, both Houses of Congress, and appointments to the Judiciary, together with all associated pelf, paychecks, funding, graft and boodle. Now that Americans have notebooks and iPhones, getting them to ban electricity–even for Altruria–is as Quixotic a chimera as has ever before been dreamt up. The current war on energy is the one significant difference between the platforms published by the Dem and GOP factions of the ruling kleptocracy. If the research that went into this article on legal questions was surprising, just imagine how surprised your competitors could be. The author can be hired to translate materials pertinent to international legal cases involving your law office. I’ve enjoyed reading the articles and letters addressing the topic of nuclear weapons in recent issues. There is, however, one point which has been conveniently ignored by both sides during the debate: the difference between the philosophic bases upon which the Soviet and American governments are based. Capitalism is rooted in individualism, and is retaliatory in nature, as can be seen in our code of laws. Socialism is altruism applied to government; its collectivist and egalitarian aspects can be traced to that basic premise. All socialist states, whether communo-fascist or redistributionist, depend on the initiation of force to achieve their goals. This basic difference is generally omitted in the course of “scenario building,” and the result is that the conflict is viewed as though both nuclear powers had similar goals. During the second World War, no American strategist would have considered the extermination of the Jews as a tactic and many were surprised when Germany’s National Socialist government embarked on that very program. 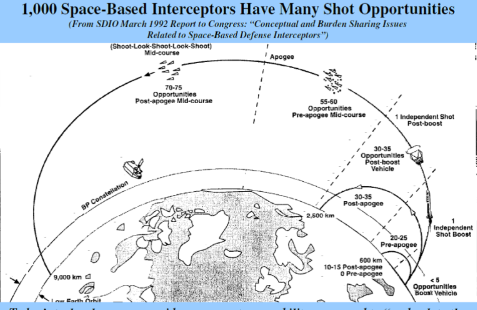 Today we tend to think that the Soviet Socialist government would not target civilians because we ourselves see no strategic benefit in such a course. The fact is that we have different goals and different philosophies. The possibility that the Soviet state might regard us as the National Socialist state regarded the Jews cannot be dismissed by any who have compared the original documents on which those systems were built. It is possible, therefore, that the option of surrender may no more exist for Americans than it did for the Jews during the last war. Our best option seems to be to follow the advice of Edward Teller and Andrei Sakharov and increase our defenses to the point at which we can sustain a first strike and still defeat the aggressor. Any less of an effort will simply serve to reinforce the tendency to fire on warning and thus increase the possibility of an accidental war. This letter was written 36 years ago this month. As I look around I still see many of the same things. Many at the time urged surrender to the communist dictatorship whose policies they literally worshipped. Even this issue included a hand-wringing appeal from Italian “scientists.” Those “peace” appeals relied on a Pascal’s Wager form of intimidation and never (except for a letter in a preceding issue of Physics Today) advocated surrender to totalitarianism in so many words. Propagandists for looter statism simply blocked off all other alternatives as insane, misguided, ill-informed or unrealistic, and let the reader arrive at the only alternative left standing. Those same people today urge totalitarian control of the economy and impoverishment of every aspect of life on the strength of the Millerite supposition that another trace gas (carbon dioxide, not freon anymore) stands poised to wipe out humanity. The only country not required to give up a kilowatt-hour of electrical energy to please the Vichy Paris Accord proponents is itself a communist dictatorship. Search Google News Archives for members of Physicians for Social Responsibility, Union of Concerned Scientists, Stockholders for Corporate Responsibility, _X__ Anti-Pollution League, _X__ for Social Responsibility and you will find today’s CO2ercion advocates among the survivors. The phenomenon is a political 5th Column meme that worships slavery and death as alternatives to the delusions of Armageddon and Rapture that “the left” (correctly, in my view) attribute to “the right”. (The Libertarian theory of non-aggression and individual rights is completely different from the European politics of 19th-Century political parties). That same issue of Physics Today raised the question of whether a bolide impact might have–in a matter of hours–so completely changed the climate as to wipe out the Dinosaurs 65 million years ago. If such a danger arises again–and a look at the Moon clearly shows hundreds of thousands of such events–only an advanced energy-converting industrial civilization would stand a prayer of warding off or surviving such a test of humanity’s competence to survive. This is the test the dinosaurs failed. Co2ercion advocates have nothing to say about that proven scenario. The article on the Monte Carlo algorithm in that issue of Physics Today, incidentally, relates to a mathematical technique developed by designers of thermonuclear weapons (Nicholas Metropolis, John von Neumann and Stanislau Ulam). The purpose of those weapons was to defeat National Socialist Germany and their Japanese allies in the 1940s. Bolide impact is the “Alvarez Theory” because geologist Walter Alvarez asked his physicist father Luis why the clay boundary? 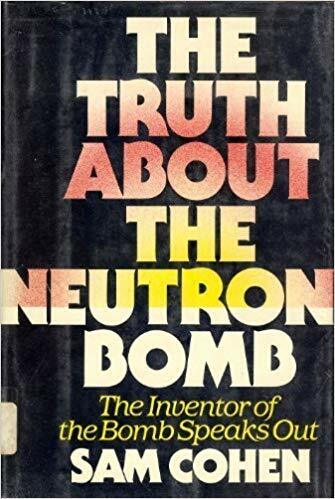 Luis Alvarez designed the geodesic detonation cord for the plutonium bombs used at Alamogordo and Nagasaki. These competent people whose technology defeated National Socialism and held off International Socialism until it rotted and collapsed are the ones whose ideas make sense to me. The Fifth Columnists still recite the exact same totalitarian formulas and slogans, and care nothing for measurement data, definitions or conceptual clarity. They are the villains in Atlas Shrugged. The Libertarian Party had by 1982 already seen to the repeal of cruel, Medieval laws against birth control, and provided the philosophical and ethical arguments that toppled totalitarian parasitism. I’m proud to be a Libertarian Party member and supporter, and hope we can count on your spoiler vote to repeal another mess of really cruel and unusual laws the kleptocracy and its lobbyists use to eat out our substance. That’s winning! If you need technical translations (oil, mining, power dams, reactors, agribusiness, and yes, contracts, laws and environmental regulations) from or for Latin America, check out my websites.